Scaly Pholiota (Pholiota squarrosides) mushroom cluster on a mossy log. 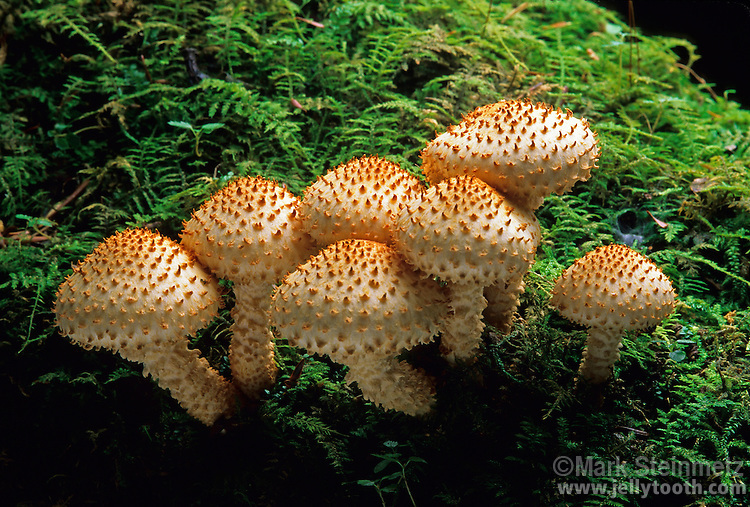 Scaly Pholiota is usually found on decaying logs, although sometimes is found causing heartrot on living trees. Hocking County, Ohio. USA.